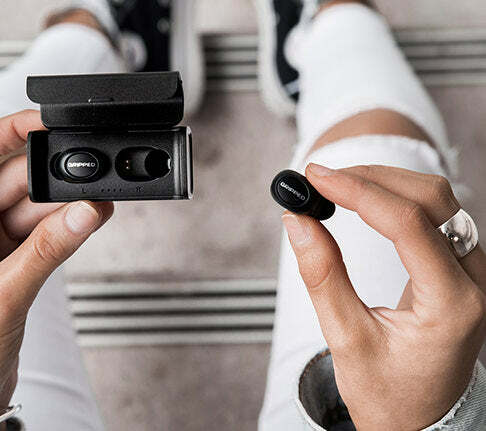 This true wireless earphones cut the cord between the earbuds out completely — offering a level of convenience, lightweight comfort, and flexibility that traditional Bluetooth(R) headphones can't match. GRIPPED FREE not only sounds just as good as its wired counterparts, but is also as reliable. 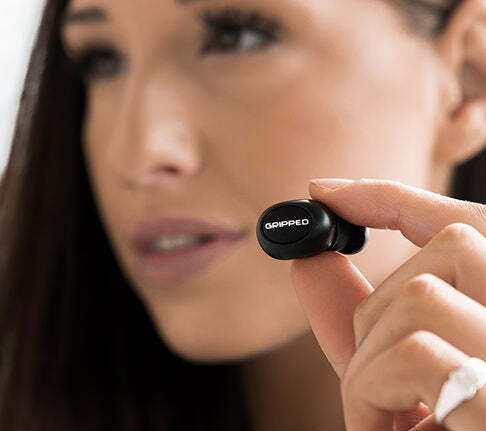 With the GRIPPED FREE,you have an easy-to-carry and clean out-of-the pocket earphoneanywhere, anytime. 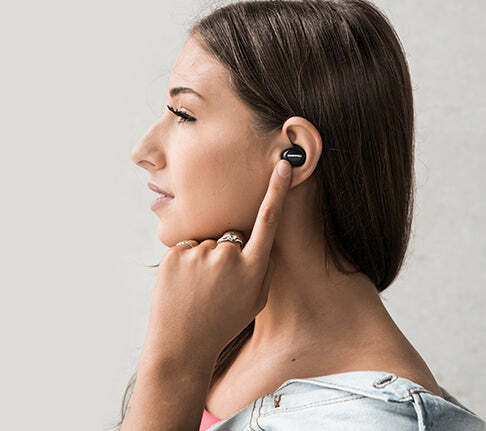 The earbuds have a micro-fit, ergonomic design, serving up a comfortable and exceptionally secure in-ear fit. All in all, it offers a subtle, mature look and a gym-friendly build. As far as sound goes, it delivers crisp highs, clear mids, and deep bass, allowing you to experience the highest quality possible across all types of music. 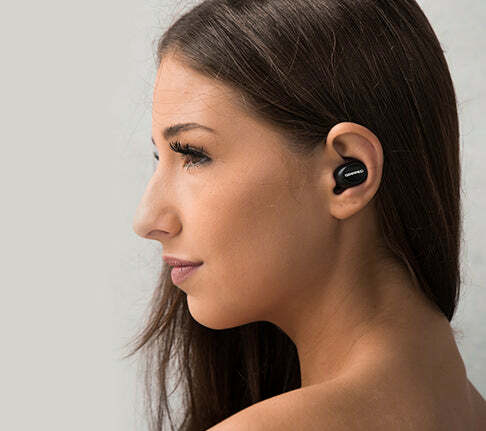 The GRIPPED FREE pairs easily with your smartphone or any device via Bluetooth(R) so you can listen to your favourite music anywhere on the go with no trouble. Pairing is a breeze and the connection is solid regardless of the operating system of your source device. Never miss a call while working out and navigate your playlists with the microphones integrated on to the earbuds. GRIPPED FREE gives you true wireless earbuds with a mic and a single control button, so you can power your run without breaking focus. 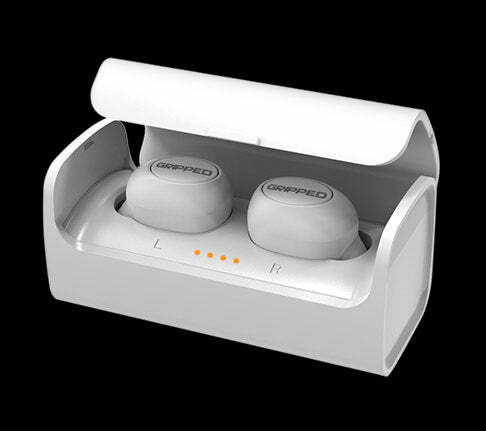 Because no two pairs of ears are identical, the GRIPPED FREE true wireless earbuds comes with multiple silicon tips for all ear canal sizes. The GRIPPED FREE earbuds maintain sound integrity up to 10 meters away, which meansyou can do it all without reaching for your phone. The case protects the earpieces when not in use, and charges them simultaneously with a better-than-average 3 hours per charge — more than enough to get you through your workouts before hanging up the towel. I love them, took me a bit to figure out pairing and such at first. I guess I shoild have read the manual. LOL. They are great, I just wished they lasted a bit longer on a charge. It was not quite 2 hours but they are so tiny I guess that is to be expected. Hi Rollie, Thank you for the kind words! We’re so happy that you love our gym earphones. Would you mind sharing with your friends and family too? We’d love to continue providing great service to awesome clients like you. For the batteries, volume usually is a big factor for please. If you are experiencing anything less than our advertised playtimes, then please try draining the battery flat and then recharging it back to full to enjoy full playtime. Cheers!